Profectum’s Parent Educational Program consists of over 40 webcasts specially selected and created for families. Our faculty has had the honor of growing up with thousands of families over several decades. These families have educated us on the joys and challenges of living with and loving someone with a developmental disability. The themes for this webcast series were created in collaboration with some of these remarkable families. 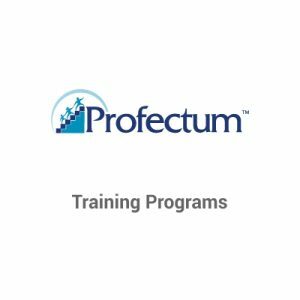 This program is very different than the Profectum Parent Toolbox (PPT), which is a step-by-step training program, in that this webcast series goes in-depth into specific topics such as “Being a Sibling of a Person with Special Needs” and webcasts can be viewed at your own pace in any order. A large focus of this webcast series is understanding the DIR-FCD™ model and using the principles of the approach to foster development. Give yourself, or someone, else the gift of this webcast series today! The Parent Educational Program can be purchased as a complete webcast series or by individual theme. Webcasts can be viewed up to 1-year from the date of purchase. To view your purchase, login to the website, go to My Profectum and then to My Webcasts. Click on the webcast you want to view. The Complete Webcast Series product contains all of the individual webcasts from each of the themes listed below. The demands of caring for a child with developmental differences can be quite stressful making it difficult for parents to experience the joy that is associated with parenting. This workshop, designed for parents and professionals, will examine the developmental and emotional significance of those joyful moments. Recent literature regarding parenting a child with developmental challenges and the impact on the family will be reviewed. Ways that therapists can foster rich and meaningful interactions between parent and child through parent coaching will be discussed and demonstrated using case-based video examples. This webcast is a parent journey of coming to terms with the birth of a child with a disability. It is based on qualitative research with 20 families followed for two years after the diagnosis of their young child. It is a journey of hope and recovery. Dr. Epel will describe how chronic stress of care-giving has a toll on both emotional well-being and physical health. However, while being a caregiver is often a situation beyond one’s control, is not a deterministic fate for worsened health, in fact, it can provide opportunities for building stress mastery, and greater meaning, and ways of coping with stress that minimize the usual wear and tear of a chronic stress exposure. She will describe her studies on links between types of adversity and psychological coping processes with bodily cell aging, and what we are learning from interventions about how to reverse or at least slow cellular aging. This parent-to parent panel hosted by Dr. Ricki Robinson, Monica G. Osgood and Lauren Blaszak takes a look into some of the challenges of daily life with a child with special needs. 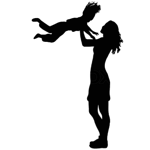 Parents share experiences and suggestions on the following topics: self-help, toileting, schedules, food and pickiness, sleep patterns/deprivation, family members, time management, going out in public, structure, routine, behavior, and more. This honest and wise contribution by parents is a highlight of Profectum’s Parent Program. 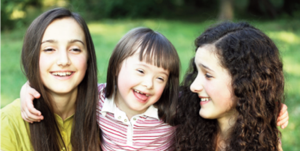 Dr. Diane Selinger provides a beautiful look into the experience of siblings of children with special needs. Through video examples, she provides thoughtful strategies for supporting siblings and fostering meaningful relationships between siblings. This webcast features siblings of children with autism who share their experiences, feelings and advice with other families around the world. This webcast features two wise grandmothers of children with autism who share their stories and advice with other families around the world. In this webcast Dr. Ricki takes you on a journey from the moment you feel that something “is not quite right” with your child’s development to screening for a possible developmental delay and, if positive, on to deciding if your child could have a diagnosis of autism. She will also help you discover how you go beyond the “label” of autism to discovering the uniqueness of your child – his strengths and challenges that will really be the most beneficial way of knowing how to craft a treatment plan for your child that is tailored to his/her individual needs and provide a roadmap for unlocking your child’s full potential. This is a “soup to nuts” presentation that should answer many of your questions about “what’s next” for my child and our family. Dr. Ricki’s experience and compassion will help you understand each step on this early journey so that you can be empowered to do what is needed for your child. Once your child has been diagnosed with autism the next step is, of course, to put together a treatment plan that is tailored to his/her individual needs including both developmental and medical challenges. Finding the perfect treatment plan for your child can often be perplexing for parents and families. In particular, finding the right medical support can be elusive for many. To help you find the right treatment “road map” for your child, Dr. Ricki first takes you through the common potential medical concerns to be aware of for your child now and as he/she grows and develops. This investigation will then discover medical concerns to be addressed in the treatment plan. 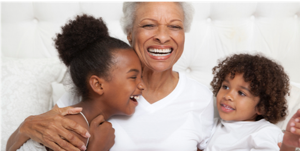 Next, she will help you go from understanding all of your child’s needs to assembling a multidisciplinary treatment team to best support each of the challenges. She will also discuss treatment planning over time and how to prioritize when, where, and under what conditions each treatment program would be used depending on a child’s changing needs including what to do when “nothing is working” and a child either plateaus or regresses. The treatment planning process and follow up will be illustrated with longitudinal case presentations from her practice. Children with ASD and related developmental disorders experience medical conditions like sleep disorders, seizures, GI issues and immune system disorders differently than the typical pediatric population. Case based presentations will be used to illustrate how some of these medical conditions might present and impact children on the spectrum. The discussion will go beyond a signs and symptoms approach to explore the different ways each condition might derail developmental progress and compromise functional developmental capacities. Three cases will be presented including video clips that demonstrate how clinical reasoning is supported by the research and how the research informs and deepens clinical practice. An interdisciplinary panel will share the reflections on this rich process of research and clinical applications. In this workshop, we will discuss the kinds of challenges in communication, language, and speech that are typically seen in children on the autism spectrum. The continuum of possibilities from challenges in non-verbal to verbal communication, comprehension to production, and language structure to language function will be reviewed. Typical profiles of children on the spectrum will be used to illustrate the range of possible language and communication difficulties these children often present. The use of unconventional forms of communication, such as echolalia and scripting will be discussed from the perspective of how these forms provide a child’s entrée into language. In this workshop, we will discuss the typical path of the development of communication, language, and speech, with an eye toward understanding the sequence of developmental capacities that result in the ability to comprehend and produce language. Stages of language development will be presented and typical hallmarks of those stages will be illustrated. Based on this trajectory, a hierarchy of intervention priorities will be presented that depend on a rich understanding of the child’s language stage. The view that language is best facilitated by beginning at the child’s ‘true’ language stage rather than his chronological age will be supported by the presentation of stories of development. In this workshop, we will explore unconventional forms of communication, namely echolalia and scripting, which are frequently used by children on the autism spectrum. The origins of these forms will be explained as ‘solutions’ to comprehension and formulation challenges. An intervention approach, which focuses on the meanings and functions that the child is communicating through echolalic and scripted utterances, will be described. Language intervention strategies will be discussed that assume these forms represent a positive stage of language learning and can be used to facilitate language development. In this webcast, strategies for addressing comprehension challenges in natural parent-child interactions will be discussed. Based on input from the mother of the child presented in the previous webcast, typical roadblocks faced by parents of children with comprehension difficulties over the course of development will be considered and options for answering the question, “what do I do now?” will be generated. The strategies presented are intended to be helpful to parents as well as professionals who are (or would like to be) working (and playing) with parents. This workshop will explore speech language and communication through a DIR-FCD™ model lens. The focus will be on identifying strengths and the underlying challenges (the ‘holes’) across a number of individual communication profiles (younger children, older children, verbal individuals and non-verbal individuals). Case histories will be reviewed and illustrated with video clips to demonstrate the principles of diagnosis and treatment emphasized in this workshop and to clarify how the speech and language therapist works together with a multidisciplinary team to support challenges in these key areas that can impede developmental progress. This webcast will focus on the role of communication in anxiety. Individuals with uneven processing, challenges with comprehension (receptive language – verbal and non-verbal) or production (speech, expressive language) and pragmatics (social use of language) are often more challenged in the communication realm during times of stress or anxiety. This webcast will address how to support communication and will provide some clinical strategies to address these issues. This webcast will address the somewhat “hidden” but pervasive problem of comprehension challenges in children with autism spectrum disorders. It will address the relationship between comprehension and production of language in both typical and atypical language acquisition. The origins of language comprehension from the early development of gestures and words in context to the decontextualized comprehension of the structures and meanings of language to the understanding of written text will be explored by telling the story of one child’s language development over a 7-year period of language intervention. The correspondence between the child’s DIR model Functional Emotional Developmental Levels and developmental language stages over the course of treatment will be reviewed and the goals and strategies of DIR model informed language intervention at three points in the child’s treatment will be illustrated. Finally, the child’s use of unconventional forms of language, namely echolalia and scripting, seen as his “solution” to dealing with both comprehension and formulation difficulties and the shifting functions of these forms, will be a theme throughout the story. When development encounters unmet challenges impeding progress, or advances slowly or unevenly, we must re-examine our understanding of individual profiles, re-evaluate interventions, and reconsider opportunities to advance progress. Visual spatial challenges can affect every aspect of development, including thinking, learning, movement, relating, emotions and life competencies. These challenges are often accompanied by anxiety, stress, and poor emotional regulation as individuals encounter difficulties. Discover the visual spatial, cognitive and emotional profile to uncover further pathways to progress. Behavior as Communication: What is your child really telling you? Part of seeking real world solutions to real problems is how we think about the child and the questions we ask to determine what the treatment should look like for that child and family. The team treatment wheel, with the child and family at the center was discussed to illustrate this formulation. One of the more difficult issues facing parent and team members are the behaviors their child may have. These behaviors, such as social withdrawal, aggression, bolting and extreme irritability may come in patterns, some persisting over time, some changing as the individual grows and develops. Using these behaviors as a communication that there could be a disturbance in the external or internal environment for a child allows the team to problem solve and work out whatever issues are stimulating this response. This approach of “getting behind” the child’s behavior to understand the derailed comprehension and communication related to deficits in Foundational Capacities for Development and the anxiety that this causes was demonstrated through real case presentations. The focus of this webcast is on the comorbid issues that many children with developmental challenges face such as anxiety, depression, communication deficits, medical complications, trauma and more. For many of these children, the lack of insight into (and tolerance for) individual differences and make-up often mask what the child is communicating through his or her actions As a result, communication is often misinterpreted as “behavior.” Testimonies from young adults with ASD allow participants to hear perspectives from inside the world of autism. We all know the role of the parent is vital to the success of the child but how does a parent of a child with behavioral challenges maintain emotional control 24/7? Using the “R” in the DIR-FCD™ model is vital. Calming strategies are necessary for both the parent and child. A framework of five critical points will help move the initial gut reaction toward a more positive interaction. The ultimate goal is to teach the child that he can obtain what he needs without having to resort to challenging behavior. This is a multi-part webcast. This is the first in a webcast series that discusses specific behaviors and practical strategies parents can use. A parent audience offers real life examples and contributes to dynamic and real discussions around experiences they have had! 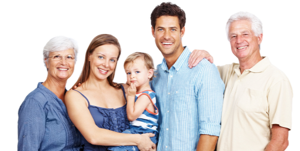 Together the professionals and parents reveal realistic support to both the family and child. This first webcast of the behavior strategy series covers key principles of supporting behavior, behavior as communication, behavior related to medical complications, anxiety and the importance of self care in the process. Other parts review behaviors related to: attention seeking and escape/avoidance/prompt dependence; shutdown and self absorption and communication breakdown. Activating development for children on the Autism Spectrum requires models of intervention that embrace the complexity of each child’s individual trajectory and provide experiences that build the foundation for learning, competence, friendship and relationships to prepare for the future. Understanding the DIR (Developmental Individualized and Relationship-Based) model core foundational capacities and the building blocks needed to move from skills to competencies can help close the gaps and barriers impeding development. Presentations of children with different profiles will focus on prioritizing goals and integrating related intervention approaches individualized to each unique child. In this webcast, Monica Osgood and Rosemary White break down the principles of DIR Floortime® using many video examples. A review of the basic principles of the DIR Floortime® are used to discuss each video highlighting how the child’s individual profile and development level inform the play partners how to tailor their interactions to support engagement and development. This webcast will help you deepen your understanding of maximizing your interactions with your child as you help them climb the developmental ladder. This is the webcast you have been waiting for! You will learn DIR-FCD™ model strategies to address challenges related to social-emotional developmental capacities: regulation and shared attention, engagement, intentional two-way communication, complex social problem solving, symbolic thinking, and representational ideas. We will show how these core capacities unfold in unique ways when development is compromised by also looking at typical development and play, and will outline and demonstrate the specific strategies and principles used in DIR Floortime® to scaffold and develop each child’s interactive capacities at different ages, wherever he might be in his developmental journey. This workshop introduces participants to the basics of doing DIR-FCD™ model interventions with older children, young adults and their families. Video examples will illustrate DIRFloortime® with individuals in both one-on-one and group settings. The integration of DIR-FCD™ model principles into semi-structured classroom lessons and how the model prepares adolescents for transition to adulthood will also be demonstrated. Additionally, the workshop will support an understanding of emotional and social challenges experienced by this population and developmental goals to strengthen and address them in all communities. Sample IEP goals will be provided to reflect interventions covered. Importantly there is an emphasis on the integration of foundational levels of development while simultaneously respecting the individual’s profile, age, unique challenges, and continuing growth towards higher levels of thinking and interacting. Now that you have an understanding of individual profiles and the principles of the DIR-FCD™ model, this Part 1 webcast goes deeper into understanding the foundational Functional Emotional Developmental Levels of the DIR-FCD™ model approach. This presentation concentrates on the DIR-FCD™ model levels I-IV, creating opportunities to develop the ability to attend and focus, to engage warmly and trustingly with others across a range of emotions, to communicate intentionally with both simple and complex gestures needed for social problem solving, and the emerging sense of self. Emphasis is placed on the importance of a multidisciplinary team that promotes skills of optimal regulation and availability, intentionality, joint attention, emotional sharing and communication, so vital for deeper parent-child bonding. Part 2 of this webcast concentrates on developing the DIR model levels V – IX, which include the abilities to represent or symbolize intentions and feelings in imaginative play and/or language, and to think in logical and abstract ways. An overview of the higher levels of development include an illustration of multi-causal and triangular thinking, comparative thinking, gray-area thinking, intermittent reflective thinking, a stable sense of self and internal standard. The emphasis is on how to tailor interactions to individual differences that assist the child to elaborate on his interests, create sequential dialogues, and represent and understand experience given the widening range of emotions and expectations development poses. Deepening the child’s emotionally charged themes through pretend play conversations is underlined as a chief means of building richer and prolonged interactions to build empathy and deal with anxiety and constrictions. Play provides the essential pathway to symbolic development through its opportunities to create ideas, step into different roles, negotiate with others, and develop empathy and theory of mind. Through play children experiment, discover, move from magical thinking to reality, practice what they are learning, and become reflective and abstract thinkers. When we play with our children we open a window into the child’s emotional experiences and provide the security to explore and embrace the full range of feelings safely. This three part webcast will illustrate how children climb the symbolic ladder through pretend play, drama and the arts as they expand their emotional range and manage anxiety and self-regulation. This requires the integration of auditory/language and visual spatial knowledge to sequence emotional ideas and actions. Every child can play and be helped to advance symbolically even when challenges and uneven development get in the way. Part 1: This webcast presents the foundations for development through the DIR model. It illustrates how the common symbols of childhood with toys or dress up, dramas or books reflect the emotional levels of children and the developmental anxieties that unfold as children grow. Symbols take on meaning through the affective interactions with others moving from the ‘real thing” to working in the mind as they develop reality testing and the consequences of their actions and feelings. Part 2: This webcast explores the repetitive patterns and attempted “solutions” children resort to when roadblocks related to processing challenges and anxiety get in the way. Strategies to move from functional to symbolic play are illustrated through DIR Floortime®, starting with the child’s favorite toys, themes, or scripts, and approaches to develop reasoning, and executive functions in story ideas and in real life. Part 3: This webcast expands on the principles of DIRFloortime® to obtain a continuous flow of back and forth interactions, and discusses approaches such as the use affective gestures and tone of voice to deliver the message and deepen the plot. Specific techniques to keep the child engaged, to organize the ideas from beginning to end, to encourage abstract thinking in play and at the kitchen table, and the links to literacy are discussed. Last, suggestions to create a play environment supporting symbolic development and references are provided. This webcast introduces you to the basics of using the DIR-FCD™ model in schools with pre-school and elementary age children. Video examples will illustrate intervention with students one-on-one and in-group settings. The integration of the DIR-FCD™ model principles into semi-structured lessons will also be demonstrated. This webcast introduces you to the basics of using the DIR-FCD™ model in schools with older children and young adults. Video examples will illustrate intervention with students one-on-one and in-group settings. The integration of the DIR-FCD™ model principles into semi-structured lessons will also be demonstrated. Utilizing a single case example, Monica Osgood will demonstrate the positive impact of a two-week emersion experience for a neuro-diverse teenager, producing gains across multiple capacities. Video-clip examples will illustrate the techniques used by an experienced interdisciplinary team during this intensive. The underlying reasoning for the use of the techniques will help participants understand how they can better individualize treatment for home and clinic use. This webcast was originally recorded for professionals. However, we feel the critical problem solving principles shared by Dr. Ricki will also be invaluable to parents and families. Dr. Ricki Robinson covers her systematic approach to complex problem solving, how this is applied to the DIR-FCD™ model, and how this is used to understand behavior in the world of ASD. Case illustrations are used to supplement your learning. Now more than ever families are a utilizing a hybrid approach in the treatment of their child with autism or other special needs. This groundbreaking presentation will focus on multi-disciplinary and multi-modality collaboration, between educators, mental health practitioners, early intervention and behavior specialists. A panel of experts will discuss commonalities, differences and potential new linkages between behavioral models (ABA & PRT) and developmental programs (DIR-FCD™ model). A case discussion and parent panel will illustrate how professionals and families can work together to coordinate, cooperate and complement treatment for children and families. In this talk, Richard Solomon, MD will present the results of the NIMH study: “Randomized, controlled trial of The P.L.A.Y. (Play and Language for Autistic Youngsters) Project Intervention for Autism.” This study evaluates outcomes, after one year of intervention, by comparing 60 control children receiving community standard services (CSS), of 12-14 hours of special education pre-school, to 60 PLAY Project intervention children receiving CSS plus the PLAY Project, a once a month, home-based, parent training program using trained masters level PLAY Project home consultants. Dr. Solomon will review the related scientific literature, describe the PLAY Project’s intensive developmental intervention model and present the key outcomes including the interactional skills of parents and children, language, and autism severity. Effective use of applied behavior analysis in young children with ASD requires both a good understanding of the principles of ABA as well as knowledge of typical early childhood development. It is clearer than ever that collaboration across disciplines as well as across treatment approaches is necessary to achieve optimal outcomes in greater numbers of children with ASD. Educational Intervention is always a moving target and collaboration between schools, the student and parent and advocates. Examining and redefining goals that presume competence and meet individual needs is an ongoing process essential to advancing development and laying the foundations for the future. A parent, early childhood coordinator, DIR clinician and advocate address crafting social-relational goals in the IEP process. An introduction of participants to the philosophy, program components, sample schedules, best practice guidelines, principles and strategies of school models that maximize the potential of all students. In this plenary session emphasis will be placed on presumed competence and the importance of relationships and “experience” in the classroom. Affective and emotionally meaningful learning will be demonstrated through video examples from both public and private school. Every day parents, clinicians and teachers work to make the time at school more productive and meaningful for students with developmental challenges for people at various ages and with a range of difficulties. The DIR-FCD™ model gives us an evidence based way to sort out, prioritize, and address these difficulties. This presentation will show using clinical examples how the DIR-FCD™ model can be applied to a variety of situations at school, in the class and during unstructured activities, such as playground time. Monica G. Osgood, Co-Founder & Executive Director of Celebrate the Children School in NJ will provide a brief overview of the DIR-FCD™ model in the context of a school setting and then delve intensively into the components of a good DIR-FCD™ program and IEP. This portion breaks down the steps and principles to building relationships with school systems and the training required to support good developmental programs. The various components that need to be in place in any developmental IEP will be discussed providing real-life examples. Finally, examples of how DIR-FCD™ IEP goals can be developed to guide intervention programs and monitor progress will be covered. A DIR-FCD™ model goal bank will be shared that provides an important resource for educators and parents to articulate goals which support the scope, sequence and integration of DIR model capacities to establish the foundations for successful learning. These goals can be applied in regular and inclusion programs as well as in special education in public and private settings. The goals provide direction, benchmarks and tools to support and ensure accountability among school personnel. Case studies will be used to demonstrate comprehensive programs for children within the DIR-FCD™ model framework in various settings. Children and adolescents with an autism spectrum disorder or other special needs are frequent targets of peer harassment – “bullying” – both at school and in the community. Core challenges in the areas of social communication, reading and adapting to social cues, vulnerable sensory and emotional regulatory capacities, even idiosyncratic areas of interest contribute to their peer’s perception of the ASD individual being “different,” and therefore vulnerable. Since bullying often begins as early as preschool and accelerates in intensity and complexity as the child ages – intervention requires a developmental framework, sensitive to each age and stage. Utilizing video and discussion, the presenters will explore how a focus on individual empowerment, experience-driven and in the natural environment, may improve awareness, communication skills and the ability to self-advocate appropriately, to build resilience in the child. However, presenters will also discuss the equally important role of community education and understanding, inspiring a culture that tolerates differences, while mandating a “zero-tolerance” for bullying across the domains of school and community. This webcast describes the challenges in safe and healthy expression of sexuality for individuals on the autism spectrum across the life span, and at differing degrees of social ability. It covers basic information about sexuality, how to deal with various challenging behaviors, and how to understand the sexuality needs of all individuals. Parental concerns and challenges are highlighted. Every parent has hopes and dreams for their child. When a diagnosis of autism is received, parents often find these hopes and dreams shattered – yet individuals with ASD can live meaningful lives! In this presentation Dr. Ricki Robinson will help parents and professionals use DIR-FCD™ model principles to understand and identify steps required to support a child with ASD develop the foundational capacities and skills he needs as he matures to help him realize his hopes and dreams. Inspiring cases will describe how to implement changes that will foster independence for individuals with ASD from childhood through adolescence to adulthood and how to match an educational program to meet the interests of a child with ASD to support movement up the developmental ladder. This presentation will reflect on the presumption of competence and why all professionals and parents who support autistic individuals and their families must understand the crucial role of this principal. This concept will be illustrated through “voices” of autistic individuals, including vignettes produced by Exceptional Minds Studio and The Miracle Project. Key steps to creating a meaningful life will be discussed as a means for gaining competence, resilience and independence. Utilizing a single case example, Monica Osgood will demonstrate the positive impact of a two-week emersion experience for a neurodiverse teenager, producing gains across multiple capacities. Video-clip examples will illustrate the techniques used by an experienced interdisciplinary team during this intensive. The underlying reasoning for the use of the techniques will help participants understand how they can better individualize treatment for home and clinic use. You’ll be hearing from Ido Kedar, author of Ido in Autismland who elegantly writes about his own journey and the personal and emotional cost when professionals do not presume competency. He will enlighten us all as to the importance of presuming competency in individuals with motor apraxia and related conditions. He will inspire professionals and parents to think about individuals with autism in a totally different light. This presentation will provide first-hand insights into the experiences of people with ASD moving into the adult world. How they were prepared and capacities and skills they wish they had, or wish were stronger, will be revealed. Common developmental themes among this group will be highlighted and suggestions for what we can do now to help adults, and equally as important, what can we do in the early stages of development to foster success for people with ASD in the 21st century!